Taken from a family recipe handed down from generation to generation, we are thrilled to bring you a hot sauce like no other. 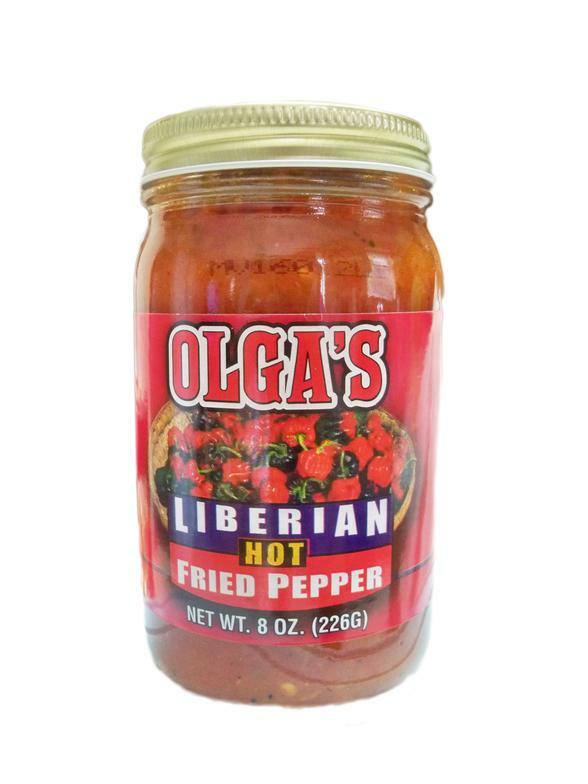 Olga's Liberian Fried Pepper combines a blend of all natural, savory ingredients and exquisite seasonings to tantalize and satisfy. A harmonic blend of fresh habanero peppers, ripe tomatoes, crushed onions and deliciously fragrant spices brings an authentic and unique taste to your dishes. Whether served on the side as a condiment or used as a rub or marinade, Olga's Liberian Fried Pepper captures the natural essence of your food and accentuates the flavor. Prepare to experience and enjoy this versatile, never overpowering perfect accompaniment to any dish. 100 % All Natural, Low in Sodium, Calories and Zero Carbs! No Preservatives or Additives have been added to this Robust and Delightful Hot Sauce. Follow Olga's's board Olga's Liberian Fried Pepper on Pinterest.